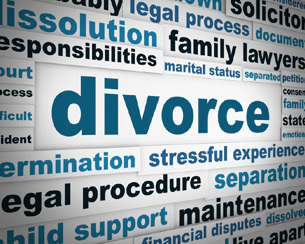 When you are working through divorce, there are numerous elements that must be considered. In addition to creating a good parenting plan, you and your soon-to-be ex-spouse must also decide how assets will be divided and agree on support arrangements. If you are in the military or are a government employee, there are additional considerations for the asset division. At the law office of Carluzzo Rochkind & Smith, P.C., we have more than 25 years of experience helping individuals resolve complex divorce matters in Manassas, Prince William, Manassas Park, Gainesville, Haymarket, Woodbridge, Lake Ridge, Dumfries, Bristow, Warrenton, Centreville, Fairfax, Stafford, Chantilly, Leesburg, Ashburn, Sterling, Herndon, Reston, Alexandria, Annandale, Arlington, and throughout Northern Virginia. Our divorce attorneys understand how pension plans and military retirement benefits are divided, and we can help ensure your best interests are protected throughout the process. Whether you are in the military or are required to travel or relocate frequently for your government job, it’s important to know that your divorce arrangements may be modified to meet your changing needs. We work with parents who need to modify their child custody and visitation arrangements as their schedules change. We know that every client we represent has unique concerns, and we take the time to create solutions that are tailored to your needs and concerns. In every divorce case we handle, our goal is to advise our clients about their legal options and the possible ramifications of each option. Learn more about the representation our lawyers provide by scheduling your initial consultation. We can be reached online or by calling 703-361-0776.